Today Monday 23rd October 2017, Wajir County Governor, Mohamed Abdi Mohamud announced his ministers. In addition to that there was a special County Assembly sitting where the Wajir County Budget Estimates were enacted. Photo: From left standing: Daud Abdulahi, new Wajir CEC Member for Finance being nominated by the new Governor Ambassador Mohamed Abdi of Jubilee Party. Looking on and seated is the Wajir County Assembly Speaker. The Governor of Wajir County Amb. Mohamed Abdi Mohamud of Jubilee Party announced that Daud Abdullahi is the new County Executive Committee Member for Finance and Economic Planning. 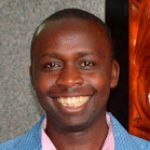 Daud Abdullahi is an MBA Finance holder. In other news, Wajir enacted their budget estimates with no amendments. The budget estimates were formulated by the previous regime. There were no significant changes made to the budget because there was no public participation conducted on the draft budget estimates according to reliable sources on the ground. The delays in enacting the budget led to a situation where 50% of the vote was passed to ensure essential services are provided to the people of Wajir. The Members of County Assembly recommended that an itemized budget be presented to them. 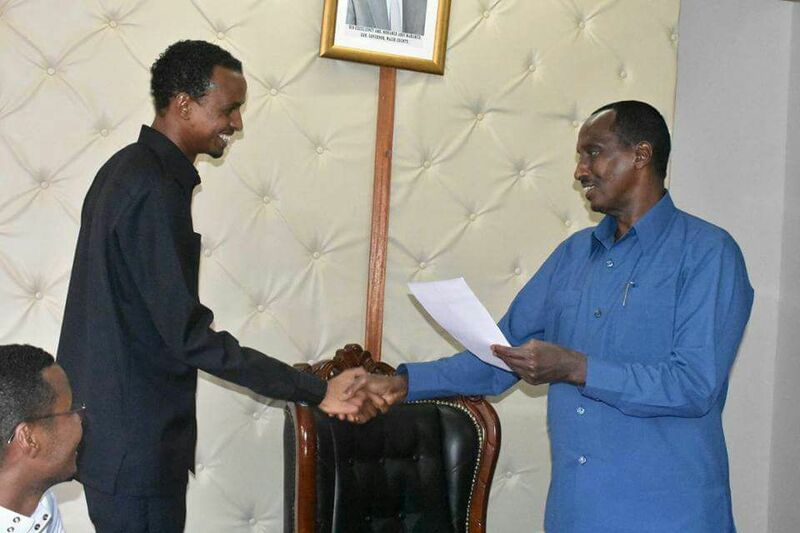 Next week the situation might change because the Wajir County executive is planning to table a supplementary budget before the County Assembly. This is the point at which the budget is changed beyond recognition and stare from the members of the public. In all cases, the members of the public do not get a chance to give their input on the supplementary budget. 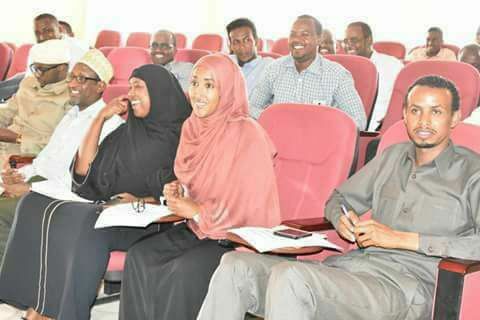 That notwithstanding, reliable sources have revealed that Wajir County Assembly is planning to take the budget proposals to the public for input. Currently, the Wajir County government has allocated Ksh. 25 million towards financing ward-based projects in the 30 wards. This makes it a total of Ksh. 750 million. Reports indicate that the members of the public from various wards have already been involved in identifying development projects to be prioritized in FY 2017/2018. This is commonly referred to as Ward Development Fund. Later in another article we will explore the law behind this fund to see what it provides for. The new regime has started with the right footing considering that there is a good working relationship between the County Assembly (legislature) and the executive. Let’s hope this does not erode the independence of the two arms of government. I was privileged to have visited Wajir County a few months ago in my line of duty. I was real impressed by the kind of progress I witnessed in that part of the country.